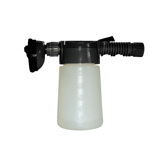 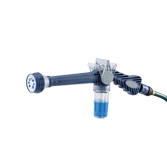 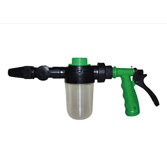 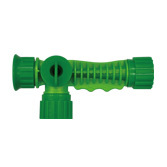 Exchangeable nozzles for quick and easy switching between foam and clean water. 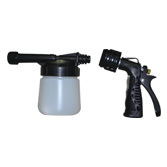 Diversified nozzle design to align with different cleaning requirements with uniform foams of varying concentration. 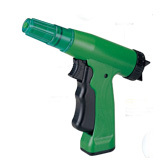 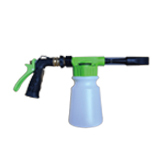 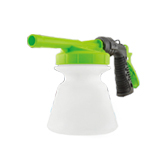 Single-hand operable nozzle gun, ready to use anytime, sparing you from tedious preparation or dirty hands and cloths. 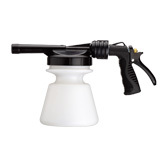 Regardless of kitchen, floor, ceiling or wall, just dissolve the stains on the target surface with foam, then wash off with clean water to meet all kinds of cleaning requirements. 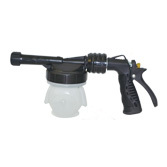 For sludge stuck to wheel cover or truck body, it is better to scrub the surface gently with a dry brush before spraying foam onto it to get the best effect.